Dispa-SET is mainly developed within the Joint Research Centre of the EU Commission, in close collaboration with the University of Liège and the KU Leuven (Belgium). Hidalgo González, I., Quoilin, S. and Zucker, A., Dispa-SET 2.0: unit commitment and power dispatch model, Tech. rep., Publications Office of the European Union, 2014. 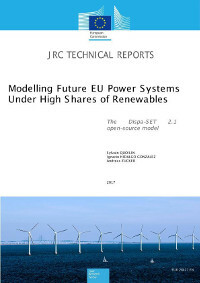 A pdf documentation of the model is available in the 2017 JRC technical report: Modelling Future EU Power Systems Under High Shares of Renewables.